The Nintendo Switch has been a solid success, selling nearly five million units since its March 2017 release, but one company claims that Nintendo’s hybrid handheld/console gaming device is illegally infringing on its patents. 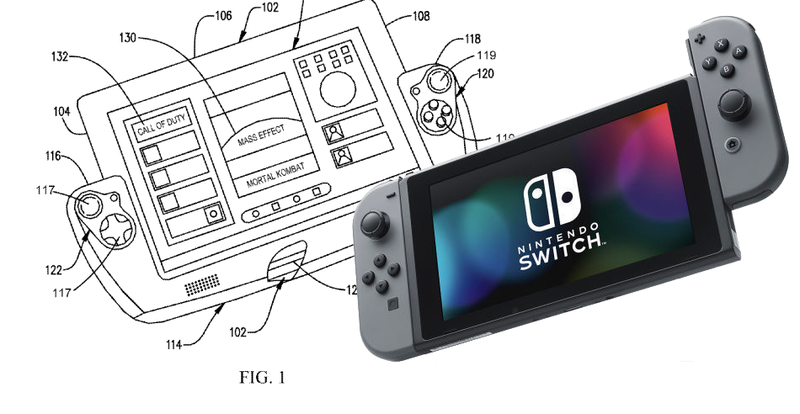 California-based Gamevice, which makes gaming accessories for smartphones and tablets, sued Nintendo [PDF] this week in federal court, alleging that the Switch’s Joy-Con controller is a little too similar to a Gamevice patent. Gamevice’s controllers are designed to attach to a smartphone or tablet so they can play mobile games without having to use the touch screen to control the action. From there, it released its namesake device — which works with both Apple and Samsung devices — in 2015, filing for patent protection that same year. However, a source close to the company notes that the patent in this lawsuit was not used in either the Wikipad nor Gamevice. Nintendo then announced its Switch console in Oct. 2016, which allows players to either play video games on a TV or slide the removable controllers onto a the device for mobile use. Since the consoles went on sale in March 2017, Nintendo has sold 4.7 million units, according to its earnings reports. Gamevice claims that Nintendo has “directly infringed and are currently directly infringing” on its patent by “making, using, selling, offering for sale, and/or importing into the United States, without authority, products and equipment that embody one or more claims” of the patent, including but not limited to the Nintendo Switch. The company is seeking an injunction to stop Nintendo from selling the Switch console, as well as damages. Gamevice declined to comment to Consumerist. We’ve reached out to Nintendo and will update this post if we hear back. Next Will The Total Solar Eclipse Affect Solar Power? Next Up: Will The Total Solar Eclipse Affect Solar Power?